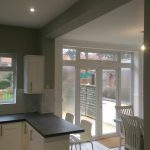 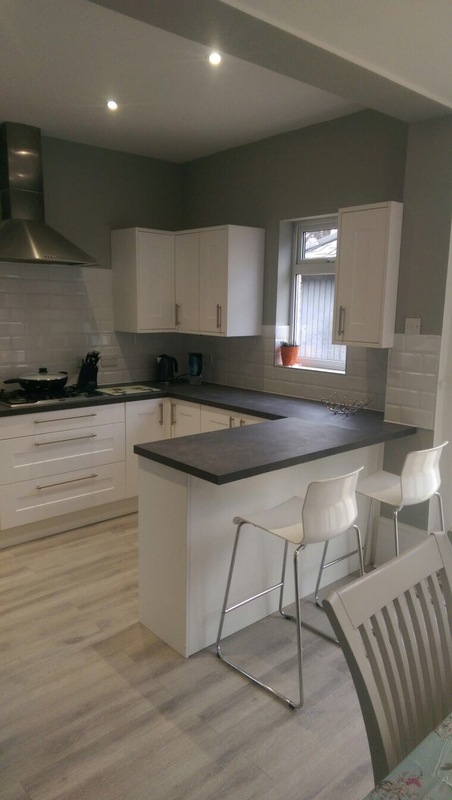 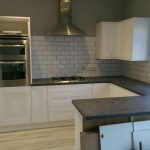 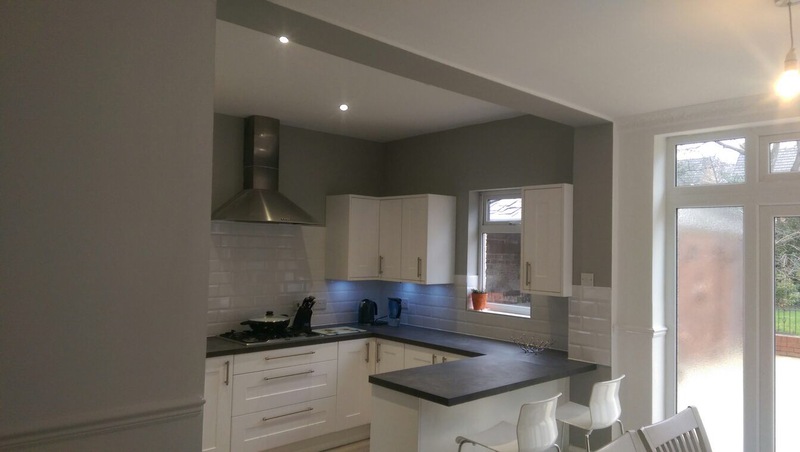 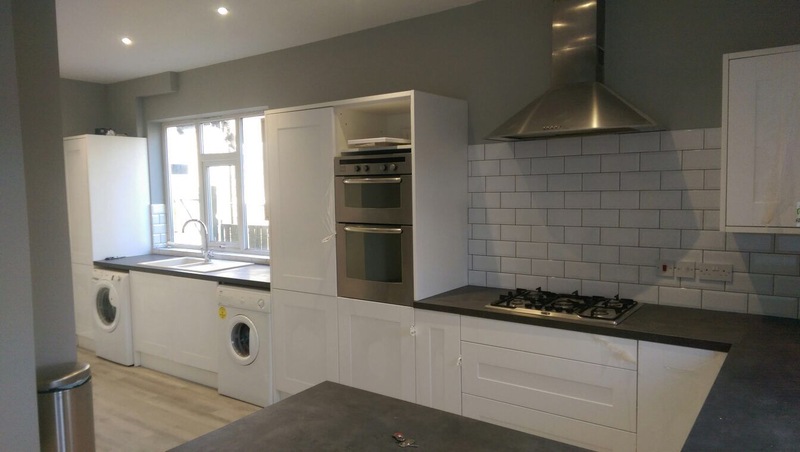 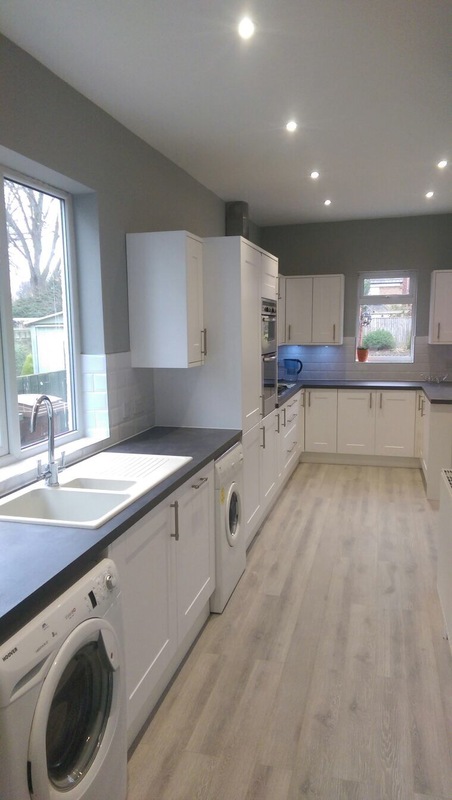 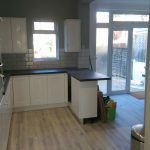 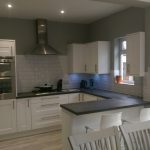 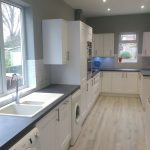 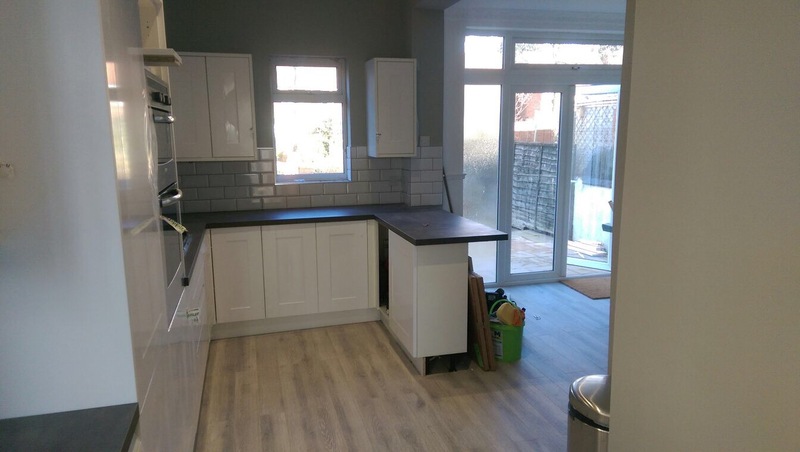 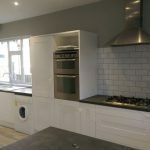 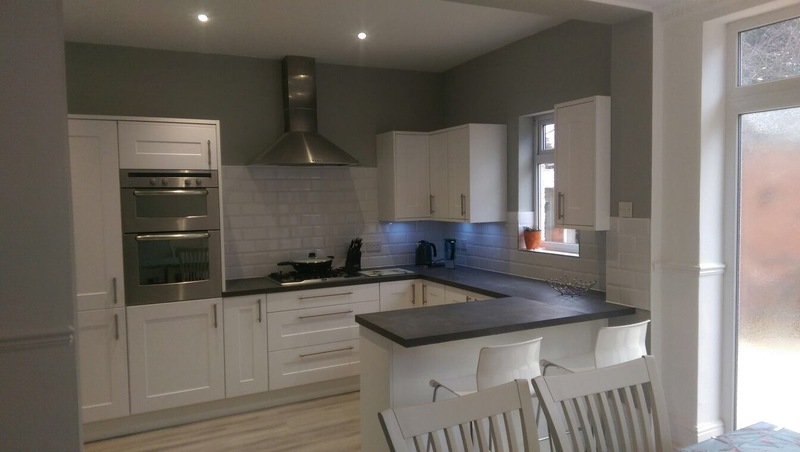 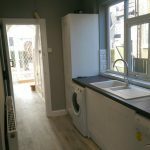 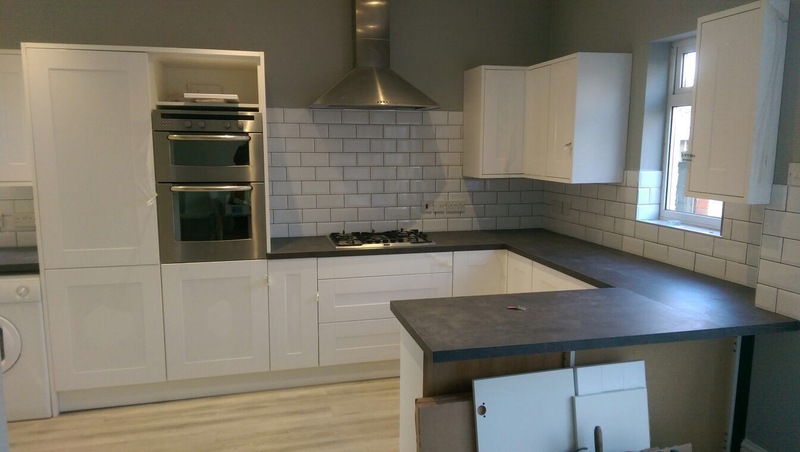 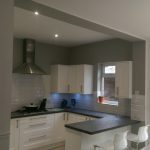 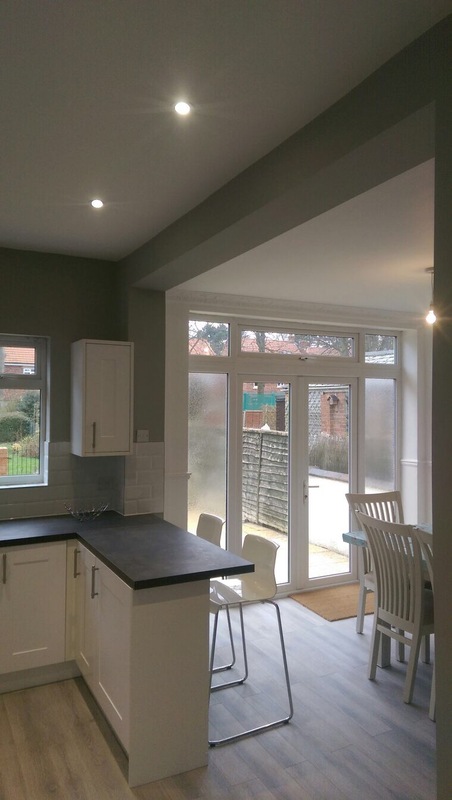 The client wanted to create a larger kitchen and dining room area without having to extend their property, so we knocked two rooms into one to create a larger space and fitted a new kitchen. 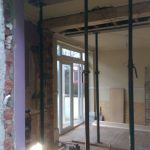 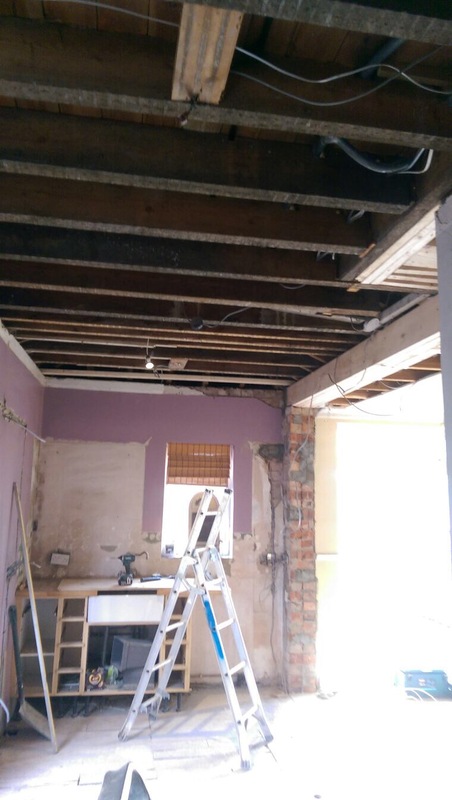 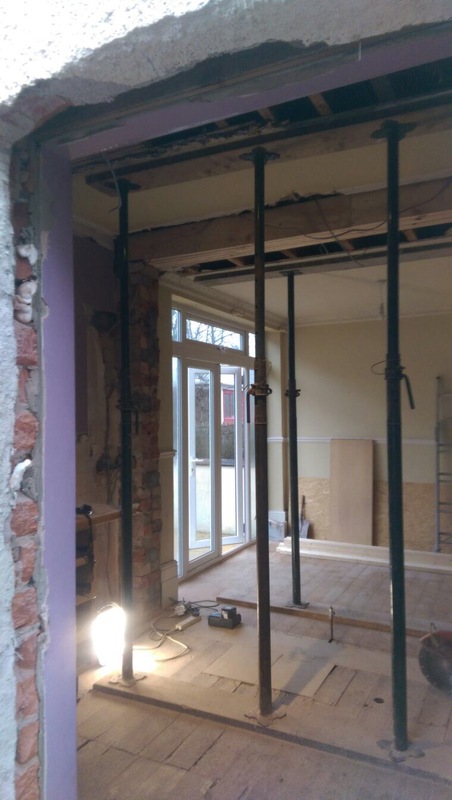 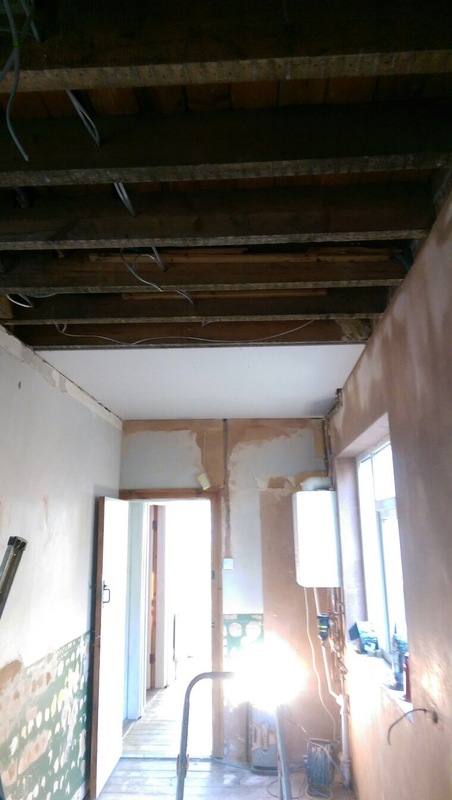 We removed an internal wall that was separating the kitchen and the dining room to create a larger space. 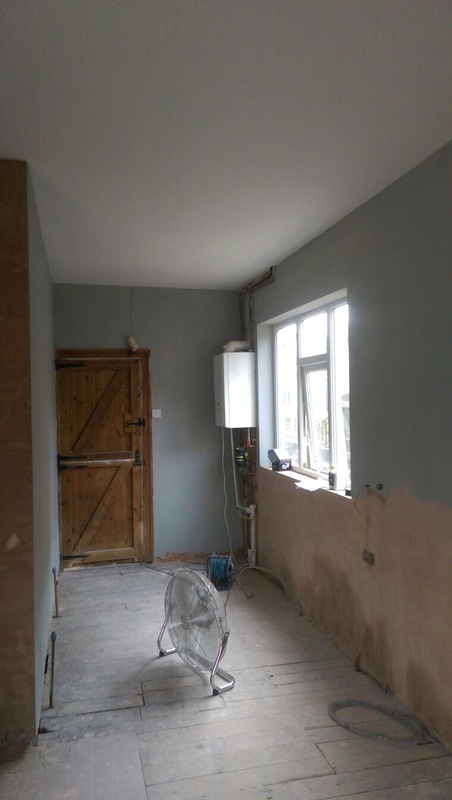 All first fix electrical and plumbing work carried out. 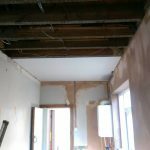 Plaster-boarding of all ceilings and walls. 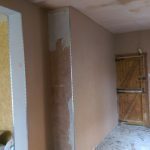 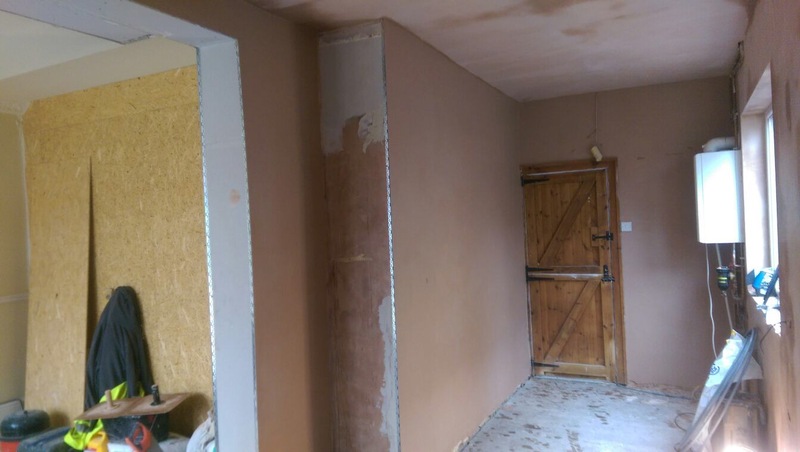 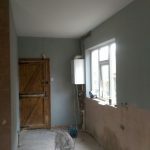 All walls and ceilings skimmed to smooth finish. 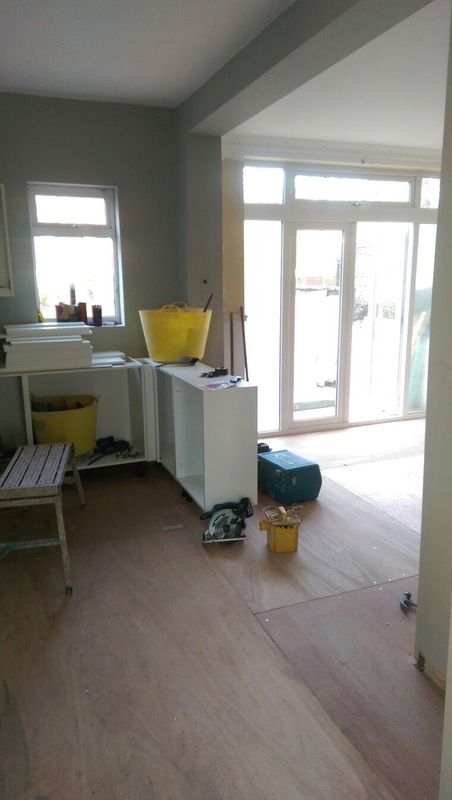 New skirting boards and architraves fitted. 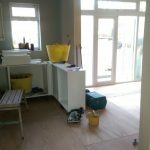 New flooring fitted throughout. 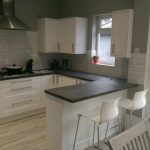 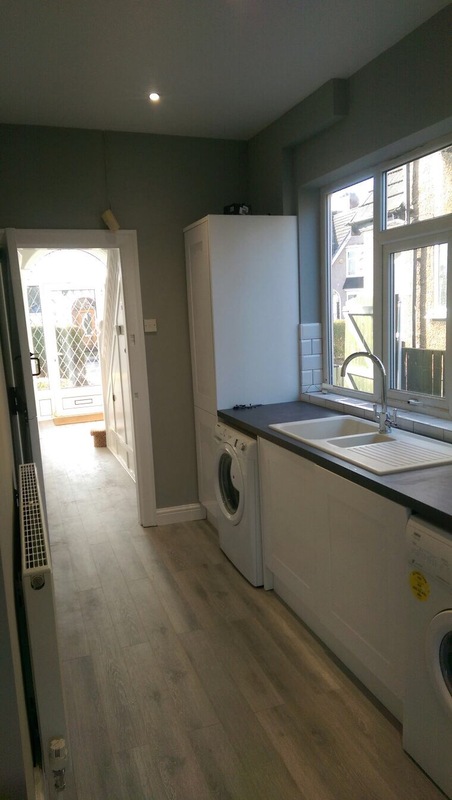 New kitchen supplied and fitted including new oven, hob, extractor, sink and appliances. 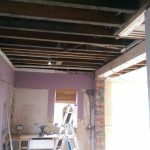 Redecoration of all walls, ceilings and woodwork.